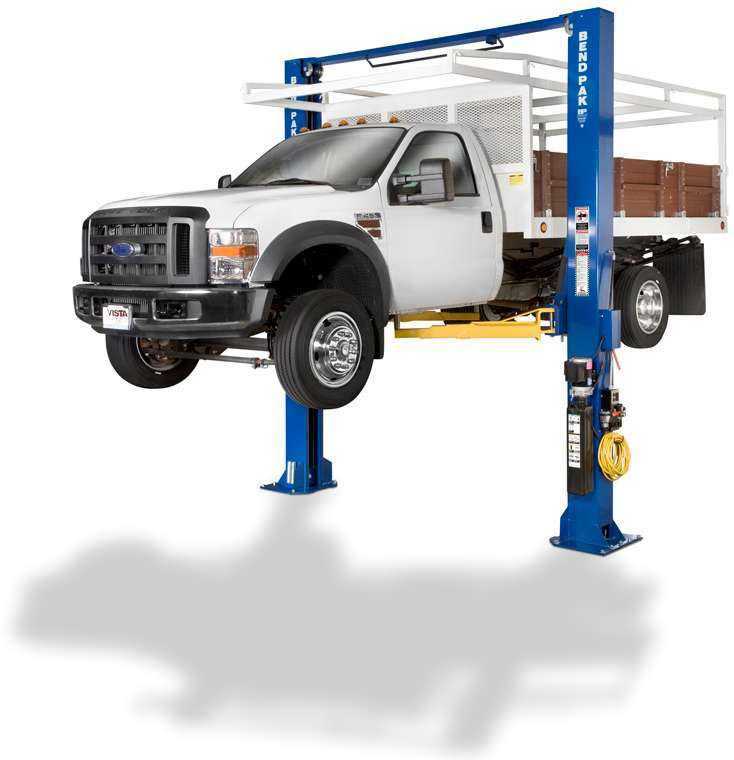 Automotive Lift manufacturers counsel their customers to get adequate training for their employees when it comes to operating their two post lifts. The Automotive Lift Institute, (ALI) also recommends proper training for technicians and even provides videos and literature to aid in these matters. We highly recommend you check their educational materials out. There are many concerns when raising a vehicle with a Two Post Lift. Two post lifts are not as easy to operate as four post lifts, otherwise known as drive on lifts. Four post lifts are safer and easier to operate because your wheels are resting on runways just as a vehicle would rest while parked on the pavement. If you can park a car, you should be able to position a car on a four post lift properly. It is advised to try to center the vehicle on the runways of a four post lift. It’s a little more complex positioning a car on a two post lift, since it is a frame engaging lift. You must take care to locate the proper vehicle jacking points. Experienced technicians have no problem with this, but newcomers need to be careful when determining vehicle frame jacking points. Most vehicles have jacking points directly behind the front wheels and directly in front of the rear wheels. Many car manufacturers provide this information in the owner’s manual, or on a label on the vehicle inside the passenger side door. They are in many shop manuals as well. The technician should make sure that the lifting points on the vehicle are not too corroded, or damaged, or even modified by the car owner. The tech should also take care to remove any dirt or grease from the area before lifting the vehicle. This will help alleviate the potential of the vehicle slipping off the lift pads while it is raised.You should also check your lift pads for dirt or grease left over from the previous vehicle. There are also concerns about balance. Technicians need to be aware of the vehicle’s center of gravity. The idea is to try to keep the vehicle’s center of gravity (front to back) as close to the columns as possible. Most vehicles center of gravity will be located somewhere between between the drivers seat and the steering wheel. Technicians must also be aware of the potential of changing the vehicle’s center of gravity while servicing the car. If you remove a transmission or other major component of the automobile, the center of gravity will instantly change. This is why the use of tall jack stands for safety purposes is strongly recommended. Stay tuned for part two in our next post.